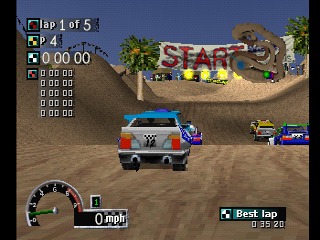 Rally Cross is an off-road racing game. 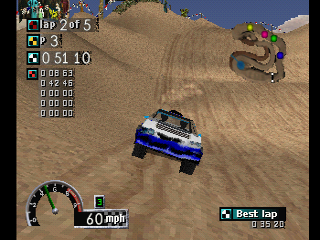 It features different off-road vehicles that have different stats. New vehicles and tracks can be unlocked by racing and progressing through season modes of the game. The game also features a hard-rock guitar based soundtrack. 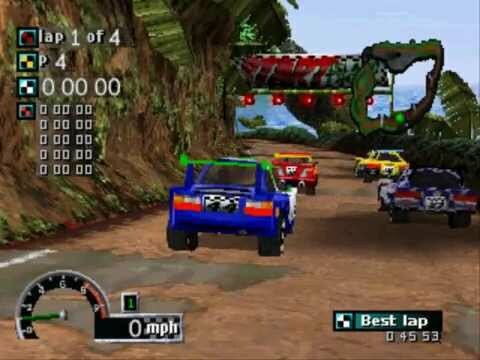 The physics in the game, while not super realistic are fun, and you can roll/crash your car for fun or crash the CPU cars. 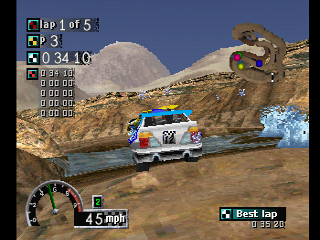 Rally Cross also has a damage for vehicles, the top, sides, front and back of the car can become damaged. The damage is cosmetic, so it won't affect the performance of your car. 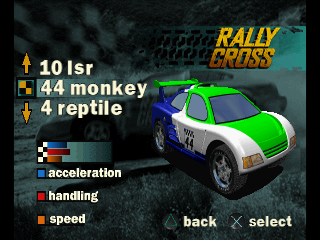 Rally Cross also supports the multi-tap for 4-player split-screen fun. 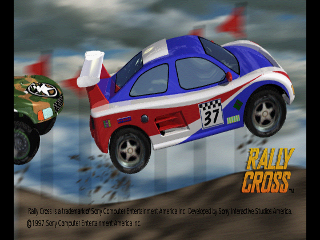 Overall Rally Cross is an enjoyable racing game that any racing fan should play. Now you can add videos, screenshots, or other images (cover scans, disc scans, etc.) 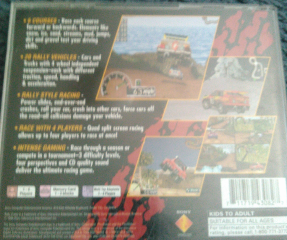 for Rally Cross [U] to Emuparadise. Do it now! If you haven't noticed yet, we have a retro game of the day feature (top-right of the screen) wherein we feature a new retro title every single day! Now, you can vote for your favorite games and allow them to have their moment of glory. 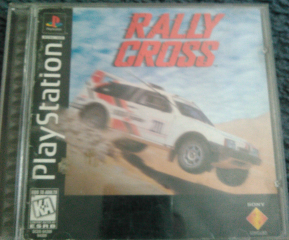 Click on the button below to nominate Rally Cross [U] for Retro Game of the Day.